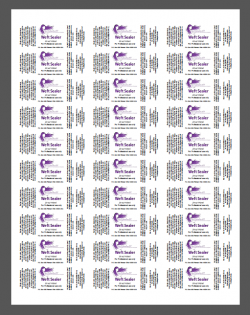 30 labels for weft sealer. 24 labels for Argan Serum. Printed on Weatherproof Gloss Label Stock for a professional look. Please provide us with your company logo or image in jpg or png format and any company information you wish to appear on your label. After purchase, Please email us at sales@hairextensions101.com and attach your logo image and let us know you company name/address that you would like to appear on the label. We will set up the label and email the file/image to you for your approval before printing. *We will not sell labels without the purchase of our product. We will not provide labels for use with other products/companies.